Cricket in Brazil began in the mid-1800s in Rio de Janeiro, during a period when a substantial portion of the city's population was of British descent. By the early 1860s, a number of cricket clubs were in operation although its playing facilities were limited to makeshift open spaces. Interestingly, Rio's Brazilian residents at the time had little or no interest in sport of any kind. Beginning in 1860, as part of a much-needed beautification programme for the city, Emperor Dom Pedro II created several new parks, including a large grassed area in front of his daughter Princess Isabel's house, on Rua Paysandu in the Laranjeiras district. Due to good relations between the British community and the Brazilian monarchy, this space eventually became the country's first proper cricket ground, and hosted cricket, tennis and bowls matches for many years. Princess Isabel and her father were frequent spectators, and often called upon to present trophies to the winners. In 1922, the Brazil Cricket Association was formed. 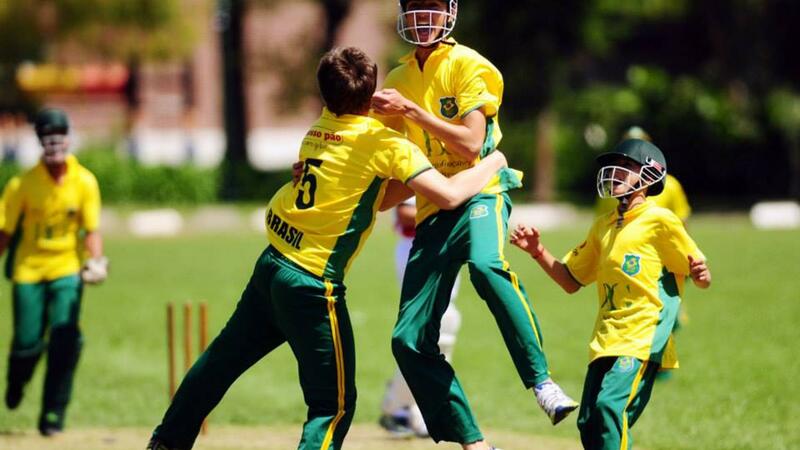 At the national level, the Associação Brasiliera de Cricket (ABC) was founded in 2001, and Brazil became an Affiliate Member of the International Cricket Council (ICC) in 2003. The ABC's continuing goal is to grow the sport throughout the country, particularly among Brazilians themselves. Matches between Brazil and Argentina began in 1888, while Rio Cricket began a series of matches with Clube Atlético River Plate from Montevideo, Uruguay in 1902. The old Brazil Cricket Association continued to stage matches with Argentina for many years, with Charles Miller playing for the Brazil team until the 1920s. Brazil also hosted the New Zealand XI in the mid-1970s. With the creation of the South American Championships (SAC) in 1995, Brazilian cricket entered its modern era. The national team has since participated in all SACs, hosting the event twice and getting the pitch ready for a third time in 2016. After a great development of a national women’s league, Brazil’s women’s squad was champion of WSAC in 2015 for the first time, bringing the team to the competitive spirit again. In addition to women’s and men’s participation, Brazil is also playing U13 and U17 SACs since 2014, with players from our development project in Poços de Caldas. The teams became champions in 2015 on both Juniors teams, a great achievement for such a young project in the country. Brazil won its first ICC tournament at the Americas Division 3 championship in Santiago, Chile in October 2009 after winning all of its matches there.